July 20th, 2017, we reported UUSS equipment had picked up 1,284 quakes since the swarm began June 12th, 2017. Many have been rather small in magnitude, with the exception of the 4.5 magnitude quake that shook West Yellowstone and Gardiner, Montana mid-June. The swarm began on June 12th, 2017 and, as of 13:00 MDT on August 2nd, 2017, is composed of 1,562 events with the largest magnitude of ML 4.4 (MW 4.4) (Figure 1). The swarm consists of one earthquake in the magnitude 4 range, 8 earthquakes in the magnitude 3 range, 134 earthquakes in the magnitude 2 range, 505 earthquakes in the magnitude 1 range, 879 earthquakes in the magnitude 0 range, and 35 earthquakes with magnitudes of less than zero. These events have depths from ~0.0 km to ~14.0 km, relative to sea level. At the time of this report, there were 125 felt reports for the M4.4 event that occurred on June 16, 2017 at 00:48:46.94 UTC (June 15, 2017 at 18:48:46.94 MDT). The M4.4 event has an oblique strike-slip moment tensor solution (Figures 1 & 2). In addition, four other earthquakes in the swarm have been reported felt. According to the UUSS, earthquake activity around Yellowstone National Park is both expected and average. Indeed, quakes account for around half of the seismic activity around Yellowstone. If you live in the greater Yellowstone area and believe you’ve felt an earthquake, please send a tip to the U.S. Geological Survey. 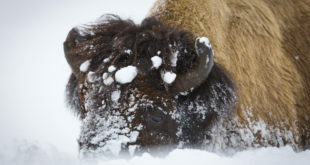 The UUSS will continue to monitor the Yellowstone region and post updates as needed.